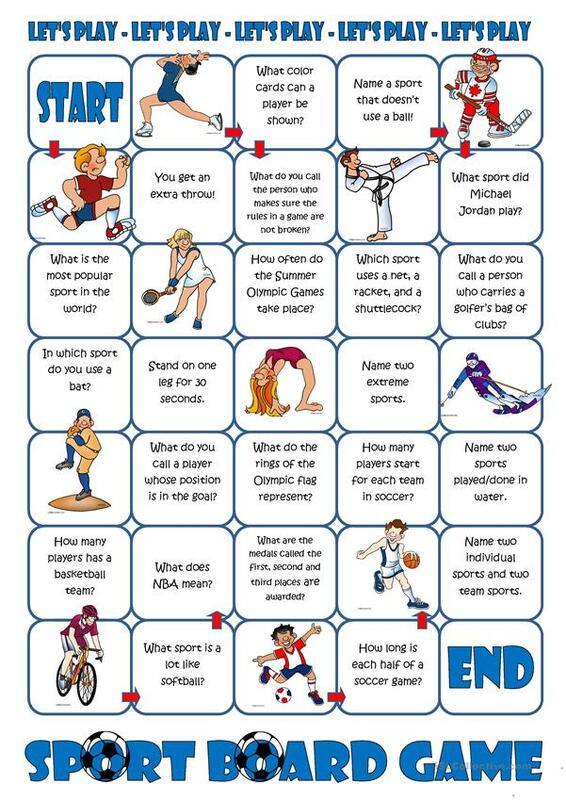 A board game testing students' knowledge on sports. It is always nice to end a topic with some fun. The present downloadable worksheet is meant for business/professional students, high school students, elementary school students and adults at Elementary (A1), Pre-intermediate (A2), Intermediate (B1), Upper-intermediate (B2) and Advanced (C1) level. It is excellent for working on your class' Listening, Speaking and Reading skills. It features the topic and words of Sports.